These days, one of the most popular ways to connect with others via social media platforms (Facebook, Twitter, Instagram, Snapchat) is by sharing meaningful photos. 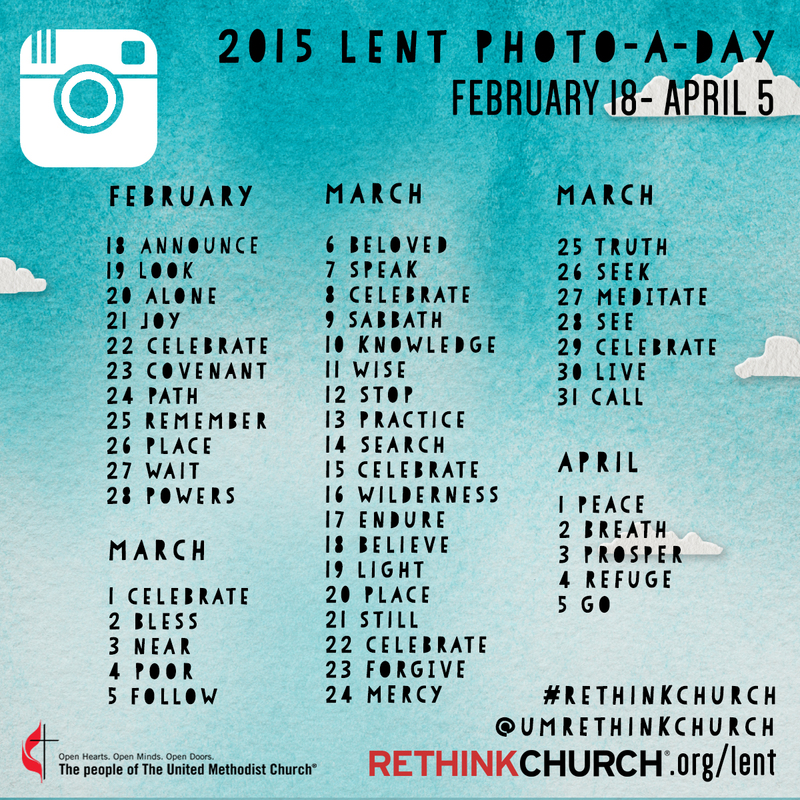 The Church has caught onto this trend with themed photo challenges. One of the most widely-known challenges is from the United Methodist Church’s rethinkchurch.org. 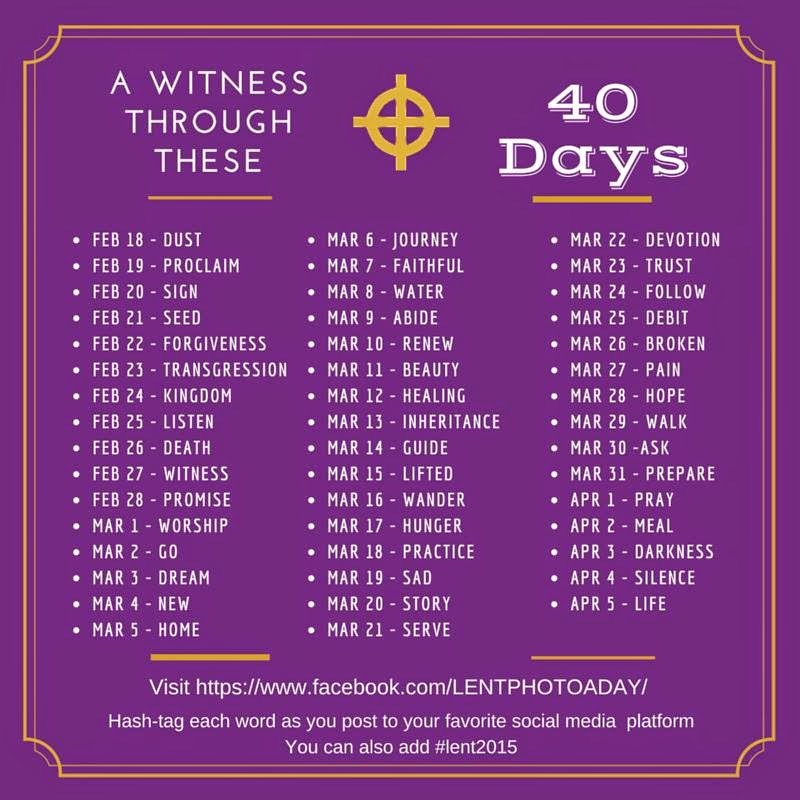 With the rise in photo-sharing popularity, other organizations, denominations, and even individual congregations have created their own “photo challenges” for Lent and Advent. Each challenge usually assigns a word and Scripture passage to a day in the season, and tasks the participant with seeking out an image that fits the word. When shared, participants are encouraged to use the hashtags provided by the facilitating organization. When a participant clicks the hashtag (e.g. 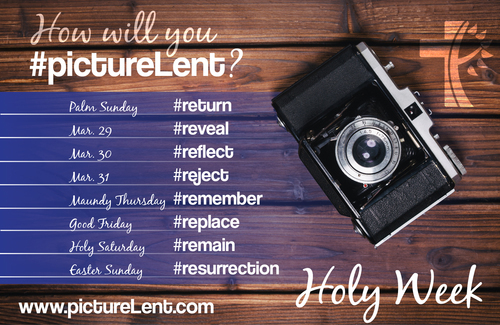 #pictureLent, #Lent2015), all hash-tagged posts appear together. After using these challenges as spiritual disciplines the last two years, my co-pastor/spouse and I invited our congregation to participate with us this year through our church’s Facebook page, our Instagram accounts, and by following our unique hashtag (#fpccanadian). Like other spiritual disciplines, the photo projects beg us to pause, to read and meditate upon Scripture, and to be open to how the Spirit speaks to us throughout the day. This is an opportunity to try and capture the Spirit’s activity in our individual lives and our communal life in the body of Christ. Tracy If you have a color printer, print it out, then put the pages in order for online viewing and rescan with a copier or take to Kinkos… Another option would be to contact Tori Smit through the Facebook group and ask her to send a file for online viewing. Thank you for your affirmation of our initiative.